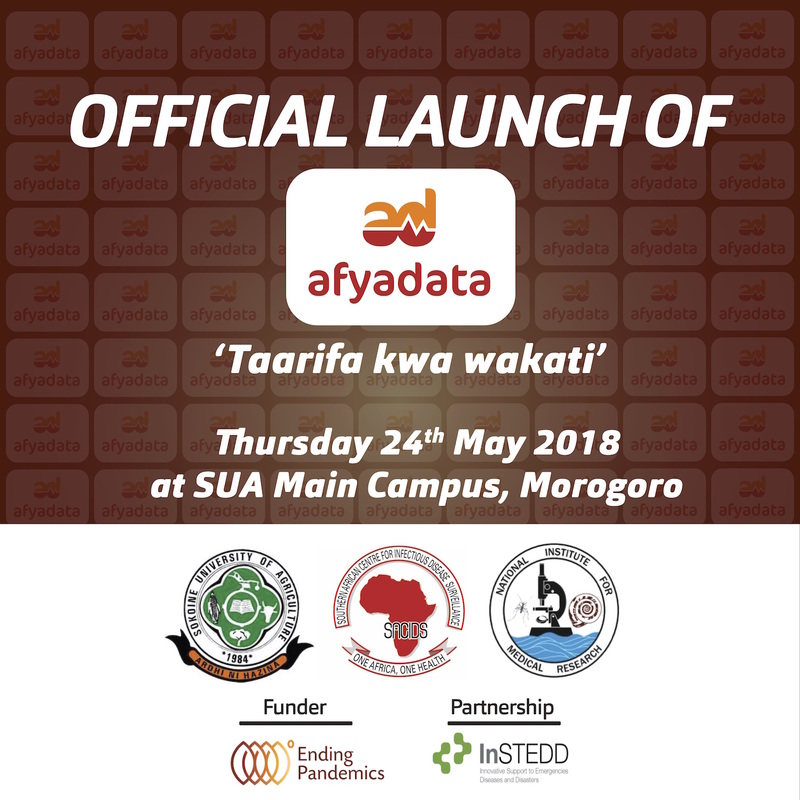 Sokoine University of Agriculture (SUA) will be will be launching a digital disease surveillance app called AfyaData (Kiswahili word meaning “Health Data”). AfyaData App is a set of open source mobile and web digital tools developed by the Southern African Centre for Infectious Disease Surveillance (based at SUA) through support from the Ending Pandemics to enhance disease surveillance systems. It was developed by a team of animal, human and Information, Communication and Technology (ICT) specialists together with community members. The app can be downloaded for free via Google play store.